Your iPhone is already indispensable to your social life, and now, with Lapka’s new sensors, it could become indispensable to your health as well. 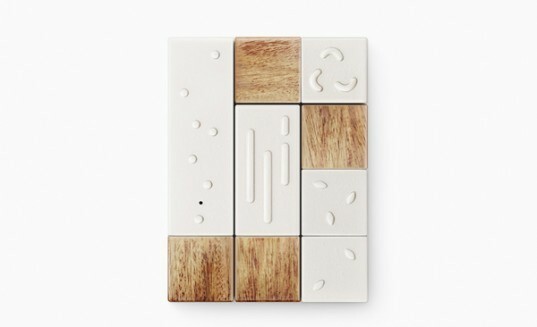 Lapka Electronics has created a set of four sensors that connect to your iPhone to measure environmental radiation, EMF (electromagnetic field) levels, humidity levels and whether or not your food is organic. Imagine it: no more guessing if your dinner is really organic or if your child’s bedroom is radiation free. 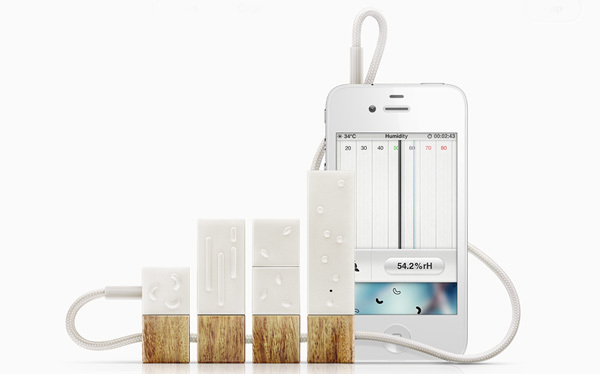 The sensors, which connect to your iPhone through the headphone jack, display measurements through a free app. Rather than displaying raw numbers, the app displays levels in a more comprehensible way, letting you know whether environmental levels are in a range that should raise concern. The range is adjusted depending on your particular environment, meaning that the app recognizes that the radiation levels in an airplane will be different from the levels in your home. The app also displays levels in a second, more abstract way, which shows particles accelerating in a red pool as levels climb. So if your chicken gives off a higher-than-expected measurement for nitrates, you can take steps to make your meal healthier. Still in the prototype phase, the company expects to release the product in December at a price of $220. Lapka hopes to pursue additional monitors in the future, including an allergen sensor, glucometer, fitness tracker and blood pressure monitor.